Imagine yourself meandering through the rustic barracks of an 18th century waterfront U.S. military fort. Sounds pretty cool, right? Now imagine that the sun is shining, the beer is flowing, the harbor is dotted with white sails and white caps, and every single one of your favorite bands is playing. Luckily, you don’t have to just imagine this perfect scenario–you can experience it! Now in its 54th year, the Newport Folk Festival continues to carry the torch when it comes to stacked lineups with all of the best festival trimmings. 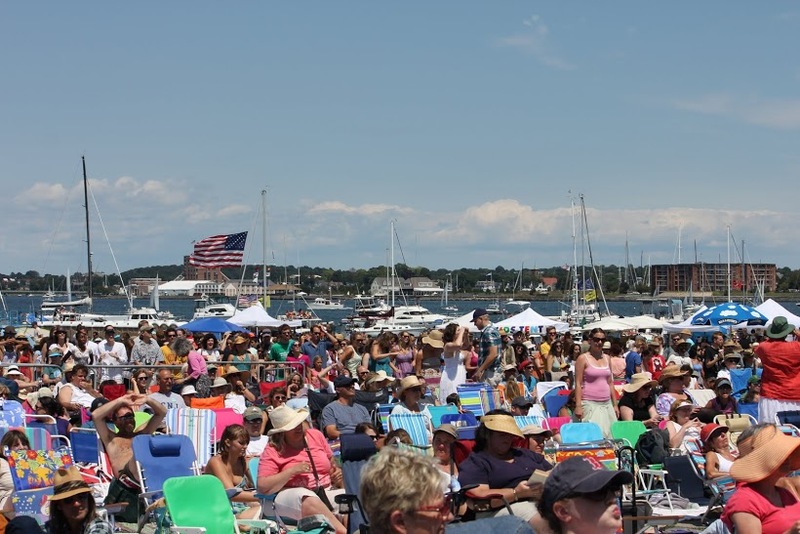 Over the July 26-28 weekend, the industry’s most talented musicians will land at Fort Adams State Park in Newport, RI and play to a–more than likely–sold-out crowd. 2. The Backdrop: There’s nothing quite like watching the sun set over Newport Harbor as the headliner closes out the day with an inspirational performance. The NFF has one of the most beautiful backdrops around–historic mansions nestled into vibrant, green rolling hills surrounding a sailor’s paradise. 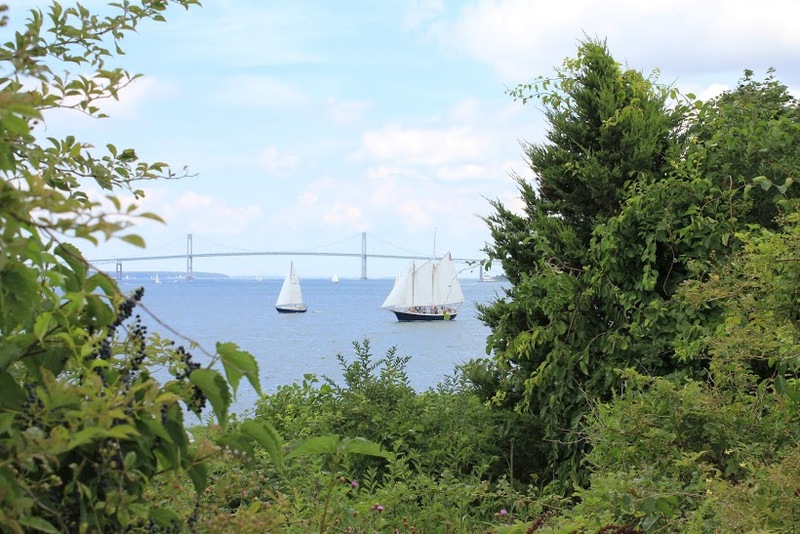 From Fort Adams, this breathtaking scenery is sure to make any festival goer stop in his/her tracks and take in a panoramic view. Repeat offender Karissa from Hackettstown, NJ shared her thoughts on the festival’s landscape. “Last year was my first NFF, and I plan on going every year now. It’s clean, it’s close, and the views are amazing. When you’re at Fort Adams, you’re right on the water. You can look out and see people on their sailboats dancing to Jackson Browne or My Morning Jacket. You can see the famous Newport Mansions on your drive in and dream about spilling a few million out to live in one, one day.” Sounds pretty magical to me! 3. The Nightlife: After the sun goes down and all of the lawn chairs get folded up, the festival still rages on. On Friday and Saturday nights, Dawes and Friends will play shows at The Jane Pickens Theater to benefit the Newport Festivals Foundation. Just down the road at the Newport Blues Cafe, Deer Tick will close out Friday-Sunday nights with performances to benefit both the Newport Festivals Foundation and Multiple Myeloma Research Foundation. Though frontmen Taylor Goldsmith (Dawes) and John McCauley (Deer Tick) are friends, collaborators, and recently appointed Newport Folk Festival Board of Advisor members, you can bet that the vibe at each show will be span the spectrum. A word to the wise, the rowdy bunch should fall in line with Newport’s golden(toothed) boy McCauley at Newport Blues Cafe, while the more laid back fans should kick it with L.A. rocker Goldsmith and pals. Either way, the evening events offer festival goers a chance to keep the party going, while supporting great charities. 6. The Layout: Due to tight capacity restrictions at Fort Adams, NFF has been forced to keep the festival numbers down, which is quite amazing considering the caliber of musicians that attend. Having a festival with only 4 stages in a very close proximity to one another, but with ample space to keep sound separate, is a major plus for NFF. “The beautiful thing about NFF is that it’s small. There are four stages and it only takes a minute to get from one to another. I recently attended Firefly Music festival in Delaware and it was so crowded and the stages were so far apart, it took my friend and I forever to figure out where we were supposed to be. 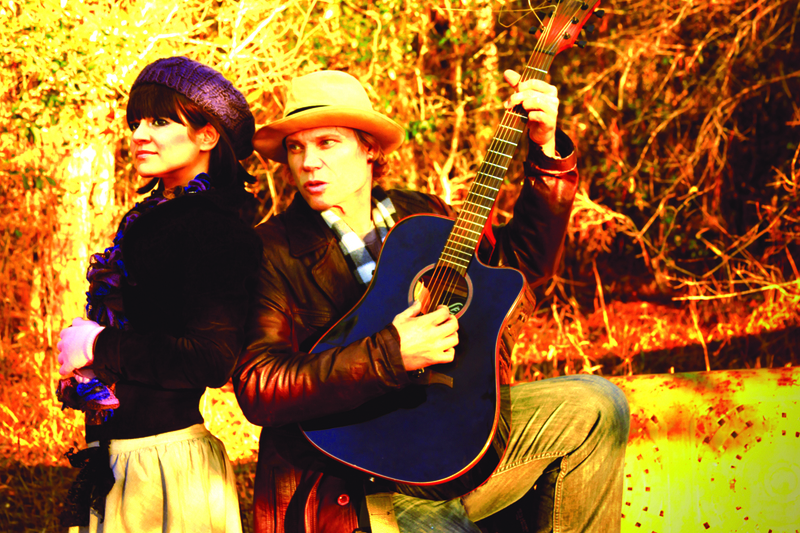 We actually walked around Firefly reminiscing about how perfect NFF is,” shared Karissa. The festival layout allows the experience to remain intimate and engaging, as if you were enjoying a private show with 10,000 of your closest friends. These are just a few of the many reasons to get to the Newport Folk Festival this year from July26-28th. At the time of this entry, single-day tickets for Friday were still available. You may have to resort to Stubhub or Craigslist for the Saturday and Sunday shows. But, just remember that there’s always next year, so be sure to buy your tickets early. See you in Newport!